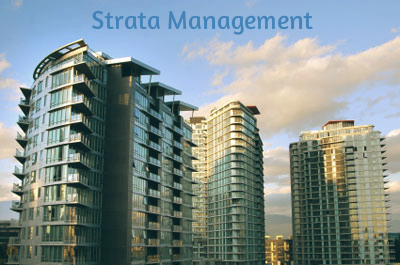 Strata management is the management of properties which are used on a daily basis and are jointly owned. This is a special area of management and the properties covered under this are multiple unites, common areas and common facilities. Owners of such huge properties usually bear the responsibility for maintenance of areas such as corridors, lobbies, swimming pools and gyms. They are also involved in managing the financial and administrative affairs of the property. The above tasks are very essential as without them there wouldn’t be proper community environment. But controlling and managing such huge scales of property requires time and money. It requires efficient planning of a framework for management with multiple users and owners along with the establishment of a strata title system. These days strata management can be done successfully with the help of strata management companies. Strata managers from such companies carry licenses to carry out such activities. Strata managers from strata managing companies will find innovative ways to remove rubbish from your properties. They will use their experience and expertise to utilize equipments to increase service efficiency. They work with several other waste haulers and clerks to determine how the task is to be done. Strata managers approach each project systematically and break their service into stages. They will examine your agreement with the strata management company. They use advanced technology to conduct an initial waste evaluation at the properties. Based on the quantity and the type of wastes they decide on the equipments required and the pricing they will charge. They also work in consultation with different departments such as finance, HR, accounts and secretarial to make records on the varied transactions and projects undertaken in these departments. They can covert bulk data into the new system efficiently when required. They are experts in inspecting on a huge scale and will relieve you from the burden of skimming years old archives. They will also help you put together annual budget and prepare reports on expenditure. With advanced software’s and waste managing technology these companies are gaining high popularity with businesses. Strata management companies help in creating an affordable waste management programmer’s that is environmentally safe too. Today’s waste or strata management companies are a class apart from the traditional waste managers. But, do not forget to conduct a thorough research on the company you hire for strata management. Your strata manager should hold a certificate and a license to do his job.